Link ​Interac Group teachers enrich the lives of hundreds of thousands of school children every year by delivering interactive and exciting English lessons. Commonly known as ALTs, which stands for assistant language teacher, Link Interac Group's teachers, working in the Japanese school system, enrich children’s lives by sharing their knowledge of English and communication skills and giving insights into other cultures. Founded in 1972, Link Interac Group is Japan’s largest private provider of professional foreign teachers to the Japanese government through its ALT program. 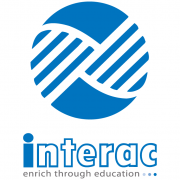 Link Interac Group is also a significant player in providing professional teachers for commercial and government organizations. Link Interac Group is one of the largest non-government employers of foreign nationals in Japan. It employs nearly 2,800 staff in Japan across a network of 13 offices. Around 2,550 of these employees are non-Japanese. For the first 38 years, Link Interac Group was a founder-owned company. Between 2010 and 2014, upon the retirement of its founder, Link Interac Group was owned by Advantage Partners, a Tokyo-based private-equity firm with a diverse stable of company investments. Since April 2014, Link Interac Group has become part of the Link and Motivation Group (TSE:2170) . The Link and Motivation Group has a range of interests and subsidiaries in the business consultancy, education, recruiting, and hospitality sectors in Japan. By promoting a deeper understanding of the world’s languages, cultures, and learning, we will contribute to more harmonious and closely knit relations among all people. Our management and business practices embody “a respect for human dignity", "a respect for individual differences," and "the belief that people can change”. By exceeding society’s expectations of service, technology, and systems, we will achieve impressive quality. As a business that contributes to the public good, we will always operate fairly and achieve a reasonable profit. We foster the independence and autonomy of our employees and develop their whole personalities so that they can contribute to the world at large. Provide an organizational environment that promotes employees’ motivation so that it becomes the engine of corporate growth. Jobs by Link Interac Inc.